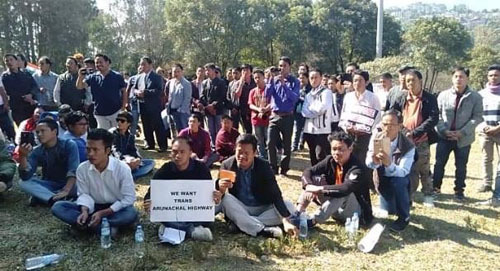 ITANAGAR, Feb 2: The Arunachal Indigenous Tribes Forum (AITF), supported by numerous community-based and student unions, held a car rally from Nirjuli to Itanagar on Saturday in opposition to a series of issues, ranging from the Trans-Arunachal Highway (TAH) compensation scam to the citizenship amendment bill (CAB). Speaking to reporters at IG Park here, AITF president Bengia Tolum said the forum had written a memorandum to the CAB joint parliamentary committee (JPC) chairman Rajendra Agrawal in June 2018 and expressed resentment over the JPC’s inability to visit the state for a public hearing on the CAB. He said the state government should clear all hurdles, including the tendering process and other formalities, within a timeframe to start the road construction work. 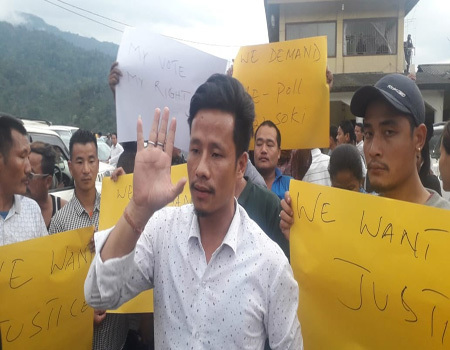 Tolum informed that the organisations would submit a memorandum regarding the same to the governor and the prime minister. 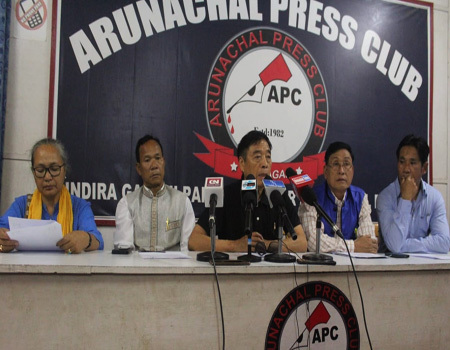 Additionally, on the demand for issuing permanent resident certificates (PRC) to long-residing non-APSTs in the state, Tolum said the higher authorities should have analyzed the situation before making promises. “Legal complicacies and how granting PRC would affect us in the long run should have been considered,” he told reporters.